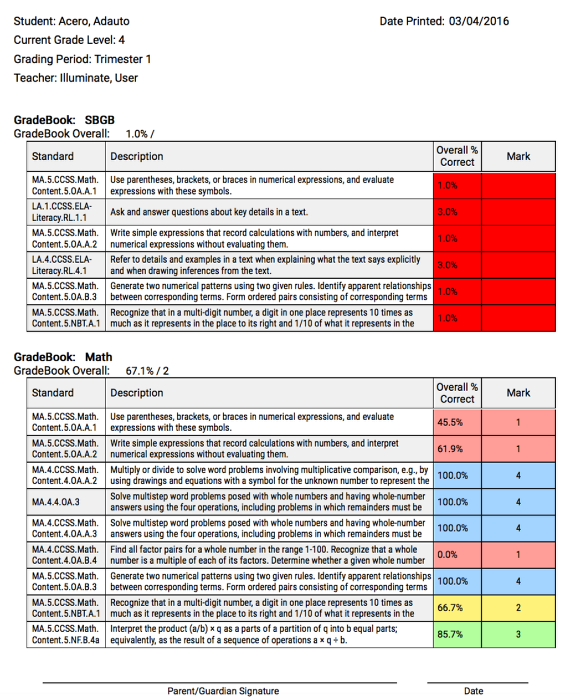 Description: This is an abstract for the GradeBook Standard Progress Report, which produces one page per student and reports an overall percent correct and mark as well as for each standard. 1. Choose to include/exclude colors setup in the Grading Scales. Data displayed in this report is not live and may be several hours old.